The customer has existing solid oak planks fitted in their sitting room. The old oiled finish had yellowed and was very scuffed and scratched. 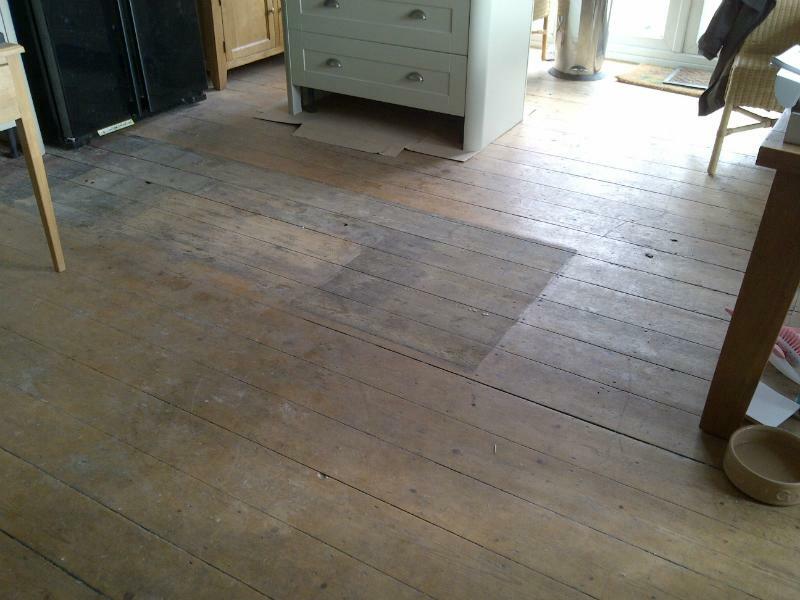 Overall although the wood was in good condition, the general appearance was dull and very tired. The Bona Belt sander was used to sand existing old varnish off the boards. We work from a coarse to a fine grit sandpaper to smooth the boards and prepare for the new finish.